About an hour's drive north of Munich, Germany in the Bavarian town of Straubing, Völkl skis has been manufacturing some of the world's finest specimens in the industry since 1923. Known for their use of cutting-edge technology, research, and development, Völkl are favorites for world-class athletes and weekend warriors with a passion for top-notch gear. Georg Völkl began as a master cart maker, building horse drawn wagons. His son Franz diversified the company to produce boats, sleds, and eventually skis, which were originally called Vöstras. After several years refining their craft, the Völkl ski company made its first foray into international alpine racing. Renowned racers such as Hanni Wenzel, Maria Walliser, Katja Seizinger, Hilde Gerg, and Martina Ertl won countless World Cup victories, World Championship titles, and Olympic medals skiing on Völkl. Völkl was one of the first manufacturers to craft carving skis, beginning with their first model, Snow Ranger, which was heavily tapered to help skiers carve faster, smoother turns. The company introduced Power Switch Technology, a mechanism that allows the skier to adjust their skis to match the snow conditions or their personal fitness level. Set to "On," the switch pushes two carbon rods that run from tail to tip inside each side of the ski, into two springs one on either side of the tip. The rods provide a higher level of reaction and power to the ski. When turned "Off," the ski remains more flexible for days when the terrain is less challenging. Eleven out of the last twelve years Völkl has earned "Ski of the Year" honors from SKI magazine. In 2008/09 two of the company's skis earned this honor. In addition to these accolades, one of their all-mountain versions won this year's top honors from Freeskier magazine. 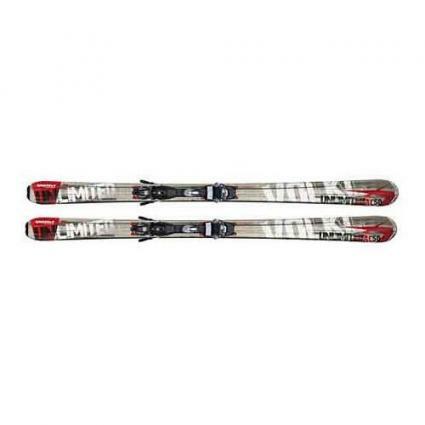 Attiva Kiku: This big-mountain twin tip for women is the ideal Völkl ski for a powder day. SKI said: "It's a powder Miss Piggy with manners, top in almost every criterion and a runaway favorite overall." Tigershark 12-Food Power Switch: SKI gave the Tigershark a "Gear of the Year" honors, noting: "It's astonishing how much edge-hold a 79mm waist can have, while its benefits in soft snow are self-evident." Bridge: This version won Freeskier magazine's "Editor's Pick" for the All-Mountain Twin Tip category. They noted that, "The Bridge is an example of what an all-mountain ski should be." Völkl skis have always been on the cutting edge of the industry, and their latest venture is a new technology for women called Bio-Logic, which will be incorporated into their carving skis for the 2009-10 season. The concept encompasses a raised-toe binding stance, softer flex, and a narrower tail of the ski that will place women in a more athletic, neutral position. This technology is particularly useful because women are four to six times more likely to suffer ski-related knee injuries than men are. Stay tuned for the latest news about the Bio-Logic and other innovations coming from this industry leader. Völkl, Voelkl, or Vokl Skis? There is a lot of confusion about how to properly spell Völkl. Phonetically it sounds like Vokl skis. The proper spelling is with a German ö, but when looking for the company's main website, look for Voelkl.com. Are you confused yet? Don't worry! Völkl was smart enough to capture all of these words, so whether you look for Völkl skis, Vokl skis, or Voelkl skis your search engine will always take you to the right place.